Click photo to download. 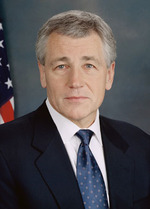 Caption: Former Nebraska senator Chuck Hagel. Credit: U.S. Senate.